Most people who love air activities look for ballooning, which is known as the best adventure sport in England. Being 5, 000 feet above the surface of the earth, sipping on champagne (or a soft drink! ), one can see landmarks of the countryside from many different perspectives. A valley that runs from the south of Somerset through to Dorset is one of the most attractive view points for those who experience ballooning in Dorset. The town, the river basin and the Blackmore vale all together make the view dynamically exciting in a hot air balloon. Ballooning in Dorset starts from either Shaftesbury or Sherborne and people are extremely excited before the trip that allows them to view the county as never before. The area of Dorset is simply amazing because whichever way the wind takes you, you can see the greatness of the landscape and the scenes of medieval times very clearly along with the Southern coastline of England (allowing sights of Christchurch and Bournemouth). 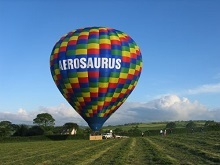 This is one of the reasons why ballooning in Dorset is so popular and people want to have a chance of experiencing it. It does’t matter where the wind takes the balloon what can be seen throughout the flight is the truly memorable. No balloon ride is considered complete until you get to see the town and area of Sherborne. The Sherborne base is the last stage of the balloon flight before they make the landing. There is another area in considered in “Ballooning in Dorset” and that is in the south, Blandford Forum. It is picturesque and really refreshing with the river, the town and many places around the area providing a marvellous view for the passengers in the balloon. People interested in ballooning in Dorset can also look at different websites for more information. There is further information regarding the launch site, the average speed of wind in the area and the place where the balloons lands. The most important element with regards to ballooning is the safety of the passengers. We’ve been ballooning in the tranquil county of Dorset for over 10 years and have an impeccable safety record. The quality of flights is acknowledged by the study done by the Dorset Ballooning Association who specialise in providing the best flights for their tourists.